The field of Virtual Reality (VR) and its usage has evolved significantly over the past years. Technical advances in the field of VR continue to provide an ever-increasing degree of immersion, thus enabling its proliferation into new use cases and verticals. Today, VR is used not only to provide interactive gaming experience but also immersion for professional simulation use cases in industries like automotive, construction, education, and entertainment. Many of these professional use cases require not only great visuals but acoustic simulation as well. Examples of such use cases include virtual architectural walk-through before construction or virtual in-car experience to help shoppers pick interior finishes and options. Acoustic simulation for these use cases requires higher accuracy compared to acoustic simulation for games. This, in turn, translates into the need for more complex acoustic simulation algorithms and requires more computational power. Simulation of professional quality, physically realistic acoustics, while maintaining the real-time nature of the simulation, requires enormous computational power and is now made possible with NVIDIA Turing RTX class GPUs. The NVIDIA Turing GPU architecture revolutionized ray-tracing with its introduction of RTX platform. 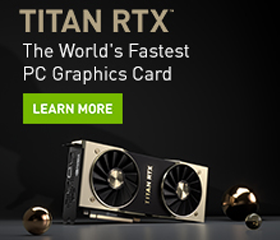 This platform includes a dedicated RTCore accelerated ray tracing engine which, combined with NVIDIA OptiX 6.0, enables developers to run more complex ray tracing algorithms without sacrificing the real-time performance of acoustic simulation by offloading the ray tracing to the new dedicated hardware. VRWorks Audio SDK 2.0 comes with support for NVIDIA Turing RTX GPUs and OptiX 6 to provide more complex and physically realistic simulations targeted at professional use cases. Support for Turing RTCores: VRWorks Audio SDK 2.0 enables faster ray tracing using Turing RTCores. The GPU platform dependency is abstracted from SDK developers. Any application written using VRWorks Audio SDK 2.0 will automatically detect the presence of RTCores and make use of them. Figure 1 demonstrates how various ray tracing operations e.g. tree traversal and triangle intersection test, are offloaded to dedicated hardware RTCore engines, resulting in multi-fold speedup. Support for NVIDIA OptiX 6: VRWorks Audio SDK 2.0 comes with support for OptiX 6.0 and leverages corresponding performance optimizations. These optimizations provide manyfold speedup for VRWorks Audio SDK 2.0, even when it is run on previous generation GPUs e.g. Pascal. Figure 2 demonstrates how VRWorks Audio SDK 2.0 achieves performance enhancements with the help of a new ray-triangle intersection test, introduced in OptiX 6.0. Professional Compute Preset: VRWorks Audio SDK 2.0 introduces a new computational complexity preset: “Professional Compute”. The Professional Compute Preset is designed to achieve better accuracy and run more complex ray tracing simulations. It is targeted for use by professional acoustic simulation applications. Presets and their usage in VRWorks Audio SDK are described, in-depth, in our previous post on the topic. Backward Compatibility: VRWorks Audio SDK 2.0 is backward compatible. Any application developed with previous VRWorks Audio SDK releases should seamlessly use the new SDK and benefit from the resulting performance gains. 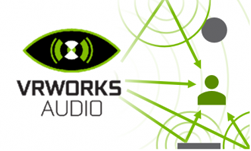 VRWorks Audio 2.0 delivers significant performance improvements compared to earlier releases. VRWorks Audio 2.0 on a Turing GPU runs 10x faster than VRWorks Audio 1.0 on an equivalent Pascal GPU. Figures 3, 4, and 5 illustrate performance enhancement with VRWorks Audio 2.0 for different GPU platforms and computational complexity presets. These numbers were generated using a scene comprised of over 200K triangles, running on GeForce GTX 1080 (Pascal) and GeForce RTX 2080 Ti (Turing) GPUs. VRWorks Audio SDK 2.0 brings significant performance gains and unleashes the power of Turing RTX for acoustic simulations. These performance gains enable it to run more complex, professional acoustic simulation for better accuracy or run less complex gaming acoustic simulation with ease, freeing up resources for more complex graphics. For more information, visit our developer page and if you have questions regarding VRWorks Audio, please visit our user forum or submit your questions to vraudio-support@nvidia.com. Ambrish Dantrey has been with Nvidia for ten years and has expertise in system software, algorithms, deep learning, and their application in field of audio engineering. In his ten years with Nvidia, he has designed and lead development of multiple software components in fields of cloud gaming, virtual reality, robotics and device drivers. 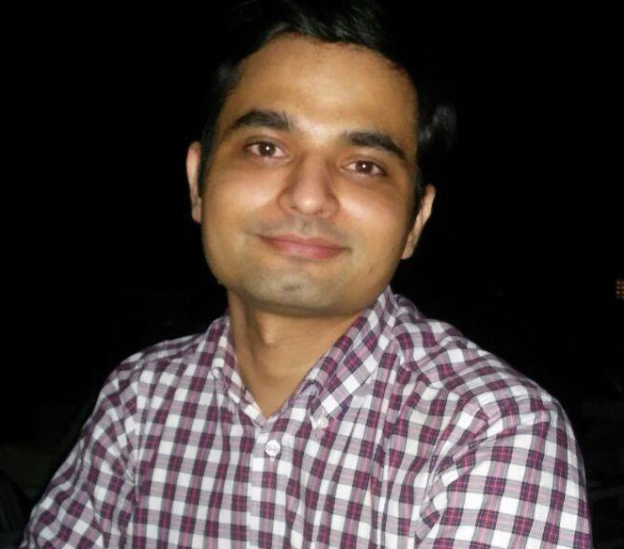 He currently manages the engineering team which is responsible for, among other things, creation of VRWorks Audio SDK.